I only started hearing the buzz about Scentsy, a candle and accessories company, this past year and a half. I knew they were a US company, but didn’t think the products were available to me in Canada. Well, guess what? They are now! Amy Bellgardt, the founder of Mom Spark Media, is also a Lead Consultant with Scentsy. She’s amazing! Not only has she built up a successful media company and blog, but she also worked hard and made Lead Consultant in just a month and a half with Scentsy! She has built a team of nine including both Americans and Canadians. She is one of the few Scentsy consultants able to sell to Canadians AND have Canadians on her team. If you are interested in joining her team, please contact her for more information. One of the Scentsy products that intrigued me the most were their Warmers. They have an amazing selection including Full-Size Warmers, Mid-Size Warmers, Plug-In Warmers (not yet available in Canada), DIY (Design It Yourself) Warmers and a Holiday Collection of warmers perfect to make your home more festive this winter. Amy had me check out the collection of Mid-Size Warmers to decide on which one to review. It was a difficult choice because there were many that I knew would go well with the decor in my home. I was drawn to both the earthy tones of the Smooth Stone Collection and the funkiness of the Twist Collection, but I ended up choosing one from the sophisticated and unique Wrap Collection. The Tribeca Mid-Size Warmer would be the perfect addition to my new kitchen (which is about 3/4 done finally!). I loved the design and the colour and it was unlike any warmer I had owned. It has its own flair and suits the modern look I am trying to achieve with my new kitchen. Our kitchen has a black tile countertop and red backsplash and I wanted to find red, black and latte accessories. The warmer has found its home on my kitchen countertop. It can be purchased for $25, which I would gladly pay. It’s a fantastic product. It includes a 20 watt lightbulb that will slowly melt the wax of your Scentsy Bar or Brick. It’s very easy to use- just plug in the warmer and turn it on and enjoy the fragrance. Then when you are done, you just turn it off. I tried the Baked Apple Pie Scentsy Bar and it is a mouthwatering experience. I was having some serious apple pie a la mode cravings. Even John when he came home from work the first day it arrived said to me, “what smells so good? It can’t be YOU cooking in the kitchen”. Very funny John! I almost fooled him into thinking there was a homemade apple pie waiting for him for dessert that night! I definitely want to buy more Scentsy Bars especially from the Bakery or Cafe Collection. I am thinking Blueberry Cheesecake or Mochadoodle. I bet Gingersnap would be nice for the holidays. They cost $5 and you just break them apart into sections to use in your Scentsy warmer. You can also mix and match Scentsy bars to combine two different fragrances. 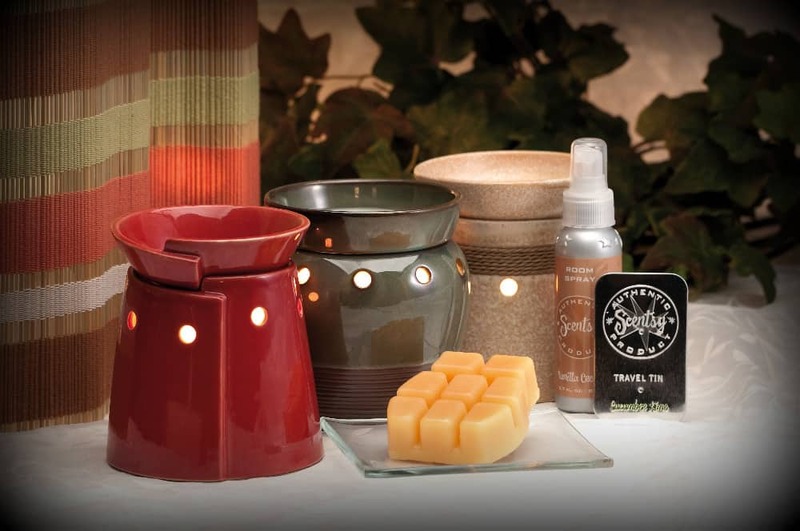 Have a look through the selection of Scentsy Warmers and Bars and find one that suits your decor and personality. Visit Scentsy and find your perfect gift! Acadia Mid-Size Scentsy Warmer with Rustic Lodge Scentsy. I think the two paired together will bring back cottage memories. I love the Faith Full-Size Scentsy Warmer. I love the Little Lamb Mid-Size Scentsy Warmer! Subscribed to Amy’s Scentsy newsletter. My favorite product is Jack O’ Lantern Full-Size Scentsy Warmer! 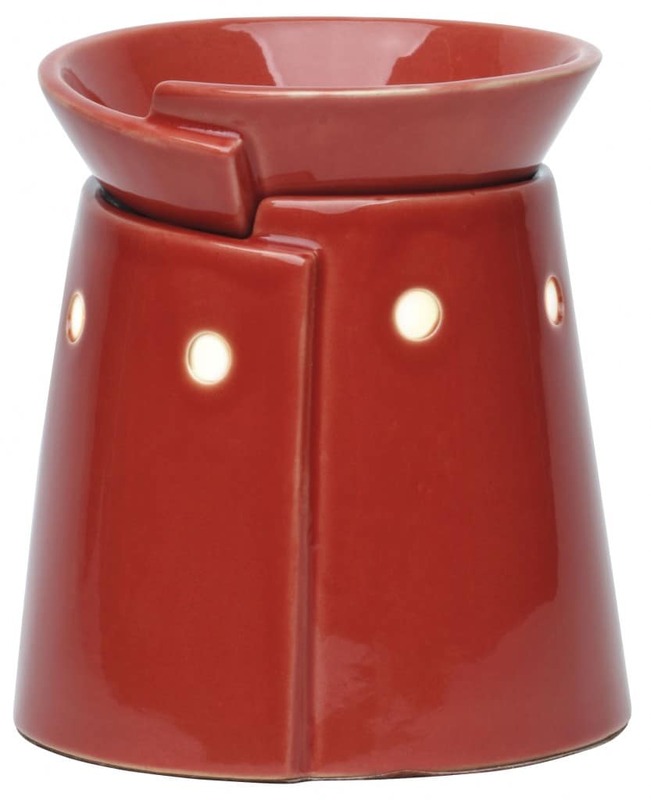 I love the Apex Full-Size Scentsy Warmer.